Despite the fact that used cars are pocket-friendly and easy to buy, they leave bad imprints on the environment in one way or the other. If you are unaware of them, please check these 7 negative effects of a used car on the environment. Natural resources are the gifts of nature, which we should care about. Despite being the most brainy creature on this planet, we share the maximum part in the destruction of the natural resources available on earth. While producing cars and other automobiles, it uses a large amount of steel, iron, plastics, rubber and other materials. Similar, most of such products are created to make the car look dashing. Even the production processes also consume a great portion of energy which directly or indirectly affects the environment. Most of the major players are changing their manufacturing strategies with new cars, but an option of a used car is still available which implants a significant effect on the surrounding environment. Either it’s a brand new car or any used car, they both run by consuming fuel and energy. Carbon dioxide and carbon monoxide are the major constituents in the exhausts released by the cars. The new cars are made up of better engines in accordance to the latest norms of pollution controls. On another hand, used cars are responsible to release more carbon contents as they are made up with the earlier technologies. Basically, the engines get worn up with time and they are unable to burn the fuel in the required ratio. This inability leads to the yield of carbon monoxide which harms the ozone layer leading to global warming. Car pollutants create a bad impact of the natural resources like air, water, and soil. It depletes the quality of these resources very badly. Pollutants, like nitrous oxide, harms the ozone layer, which is essential and protects from the ultraviolet radiations from the sun. Other pollutants like sulphur dioxide and nitrogen oxide when mixed with rainwater, leads to acid rains. Acid rains badly damage the crop quality, forests, plantation, other vegetation, and buildings. Engine oils, brake oils, and other such lubricants are thrown on the soil or in water resources like river, sea, lakes which contaminates the water and also leads to the death of the water animals. Human health is badly affected by the used car emitted particles, like carbon monoxide, hydrocarbons, and other car pollutants which are considered bad. The diesel engines are responsible for emitting a high level of pollutants which act as airborne particles like soot and metals. These particles generally cause irritation and allergies to skin and eyes. Even fine particles are often inhaled by the people which lead to respiratory problems affecting the lungs. Ozone is beneficial for the upper layer in the atmosphere but when one inhales it, it causes problems like chest pains, cough and is very difficult to breathe in. Even the noise produced by the cars causes noise pollution which is bad for the ears as well and often leads to physiological problems. Every product produced comes with an expiry date and using it beyond this time can be very harmful in for the user. Similar way, cars to have a working age, in which they perform their best with creating minor effects on the environment. Manufacturers have to produce cars with respect to the pollution norms and by conducting tests, they deduce the working life of the car. 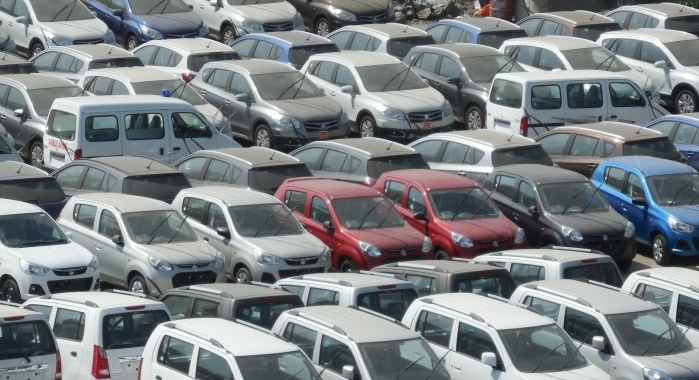 Relying on used cars can affect the environment badly as they release major harmful pollutants. These pollutants have different effects on the surroundings which are not good for the humans and the surrounding environments. The car batteries are made up of toxic materials like nickel and they are responsible to produce fumes of harmful gases as well. Most of the car users forget the timely replacement of these batteries and some indulge in burning the used batteries. On burning these batteries emits toxic fumes which can cause respiratory problems and affect the lungs. Leaking batteries too are dangerous when the electrolyte comes in contact with the body. It badly damages the skin, eyes and other parts of the body. Fuel is the major source which drives the vehicle. Cars provide mileage with respect to their engine properties and consume fuel to give better performance. The way one drives a car plays an important factor in the fuel consumption but in the case of used cars, they generally consume more fuel than the latest versions of hybrid cars. In conclusion, cars are an essential mode of transportation and they really help a lot in reducing a major part of human efforts. But in one or the other way, cars have a major impact on the surrounding environment. In this post, you can check some negative effect of a used car on the environment. Mason Reynolds is professionally a trader and a part time blogger. He is working for Everise Auto which lets you sell or buy used cars online. He has more than 7 years of experience in exporting used Car & cars Parts in Singapore and over the world.